This week's digest was contributed by Farid Gasim @FaridGasim, who is Founder of Edarabia.com and has extensive experience in serving the Middle East education industry. As an integral part of media agency, Grafdom, Farid has developed marketing strategies for institutions and government agencies. He is a notable speaker with over 12 years of marketing expertise and numerous public engagements at New York University, Zayed University, Higher Colleges of Technology and other industry events & forums. According to the study, “Women in STEM: A Gender Gap to Innovation”, women are vastly underrepresented in science, technology, engineering and math (STEM) jobs in the US. The report further states that women hold less than 25 % of STEM jobs. They also hold a disproportionately low share of STEM undergraduate degrees, particularly in Engineering. Lastly, women with a STEM degree are less likely than their male counterparts to work in a STEM occupation. The researchers cited these as main reasons: a lack of female role models, gender stereotyping, and less family-friendly flexibility in the STEM fields. The findings of this report provide evidence of a need to encourage and support women in STEM. This is a recurring issue in STEM not only in the US but worldwide. See our previous digest on this topic for some strategies that have been proposed as possible steps in the right direction. The current digest presents a list of 5 women who have made a big impact in STEM fields. Dr. Subramanian is one of the 2017 L'Oreal Women In Science Fellows. She studies Quasicrystals, a kind of crystal that earned their discoverer the Nobel Prize in 2011 for their sheer weirdness. According to Research Features Magazine, Dr. Subramanian "is especially interested in never-repeating patterns because they have an order but no repeatability. Quasicrystals with atoms and molecules in such an arrangement might need less energy to assemble and could therefore offer advantages in manufacturing, insulation and photonic devices." Renee has been on a mission to make Science, Tech, Engineering and Maths (STEM) awesome and accessible to all children. After running the Oxford Science Festival for many years, she started a children's science subscription service called the Curiosity Box (Editor's note: we won't link to it since it's a product that we haven't tested ourselves, and the purpose is to highlight the woman behind the project rather than the project itself). According to her LinkedIN bio, Watson "became driven by a desire to explore the world through the lens of science" at the age of 6. Professor Yamuna Krishnan has won the Infosys Prize (2017) for Physical Sciences and is the first woman to win the prize in its history. She aims to “uncover new functions of DNA, which go beyond its traditional role as nature's (life's) genetic material". Her lab focuses on "understanding the structure and dynamics of unusual forms of nucleic acids and translating this knowledge to create nucleic acid-based nanodevices for applications in biology". 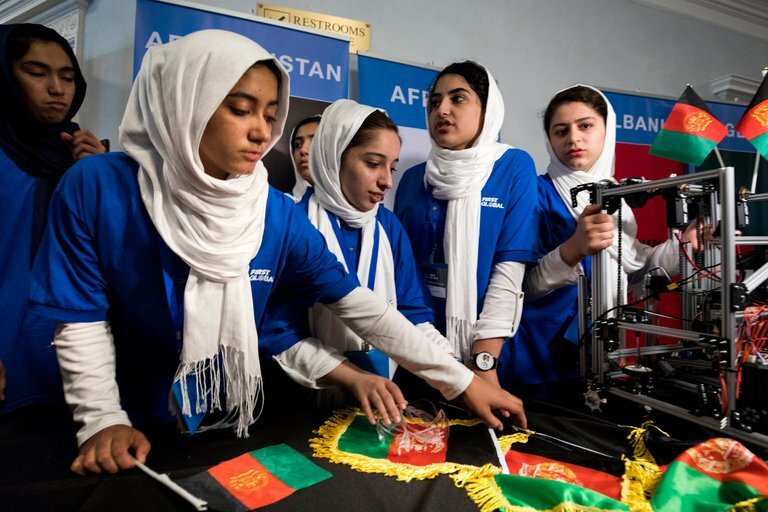 The Afghanistan girls robotics team won a very prestigious European robotics competition at the end of 2017. They were then temporarily banned from entering the US, but at the last minute this decision was reversed and they were allowed to enter the First Global Challenge robotics competition in Washington, where they received a silver medal for courageous achievement. They developed a solar-powered robot designed for use on farms. 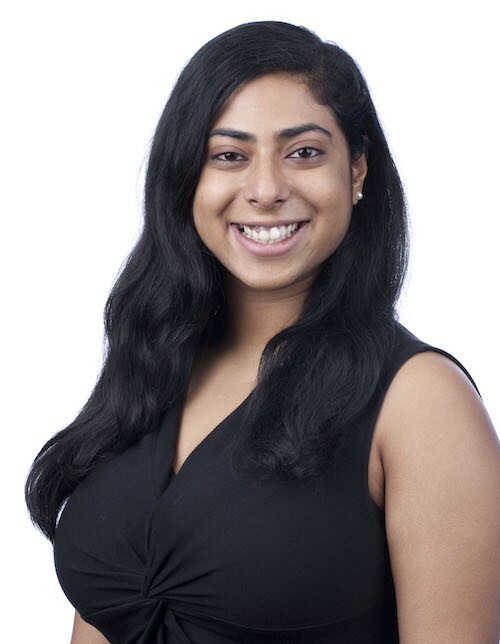 Anamita Guha, the product manager for IBM's artificial intelligence engine Watson, has teamed up with Girls Who Code to create Chatbots For Good. The program helps girls who have no coding experience to learn how to code chatbots. These chatbots pick up on their users' emotional cues to give appropriate and cheerful responses. You can read an interview with Guha here.